Looking to remove the side-to-side and front-to-back slop in your shifter? Wanting to save some money doing it? Why not invest in the COBB Shifter Bushing Pack! 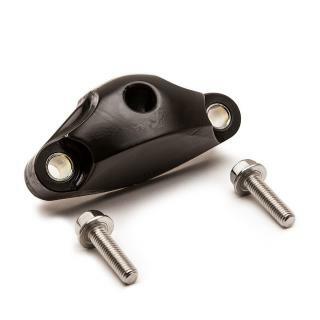 You get the stiffer 95A front bushings and 85A rear bushing all in one package!! 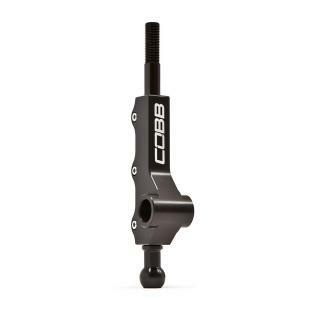 Direct replacement components that will improve your shifter precision and feel. Why not shift with confidence! 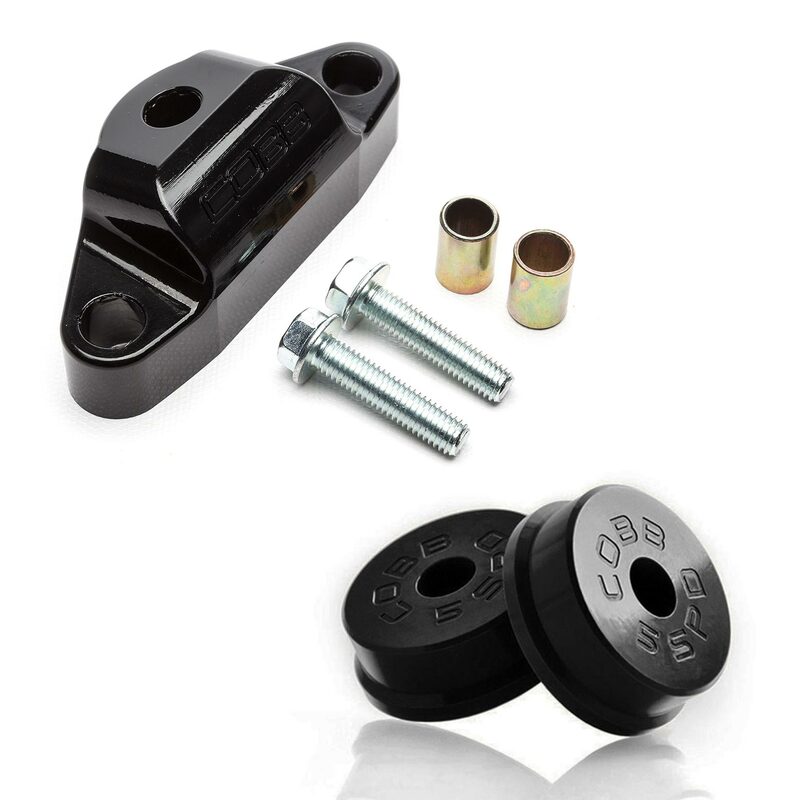 Subaru 5MT Shifter Bushing Pack is rated 4.3 out of 5 by 38. 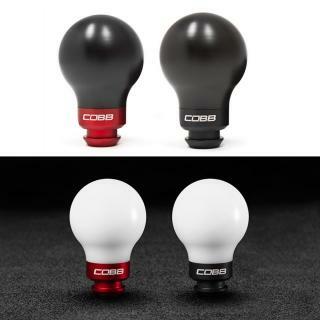 Rated 5 out of 5 by Brandon Stith from No trade off upgrade - A no brainer Had Cobb Plano install these while they were installing a downpipe and CBE on my 2013 WRX sedan. I haven't noticed any increased harshness or vibration. The only thing you get is a solid connection with the shifter linkage. The factory bushings left the shifter feeling vague and rubbery. The Cobb bushings make it feel like it should of from the factory. CONNECTED! You may feel the shifter move forward or backward slightly under load and when letting off, but who doesn't want to feel that anyway. After the upgrade you will be able to feel every gate and get a slight click when it goes in the each gear. Seriously this is a cheap upgrade with zero drawbacks. Do it. Rated 5 out of 5 by sra07 from Amazing Difference Just installed the the shifter bushing set today on my 2014 WRX hatch. The difference in feel of the shifts is amazing. There is no slop at all. Also, I noticed a fair amount of vibration in the shifter when cruising. All of that is gone. It took me exactly 1 hour to install but I did have the benefit of a lift. The video instructions were far more helpful than the written instructions. One note that is not mentioned in either set of instructions. When removing the O2 sensor, the wire is zip tied to the bracket and must be snipped before you can spin the sensor off. Also, it is very helpful to have a universal joint for your socket as some of the bolts are at difficult angles. All in all, a great upgrade. Rated 2 out of 5 by Anonymous from great once installed I gave this a 1-star rating for the incorrect design for my car. 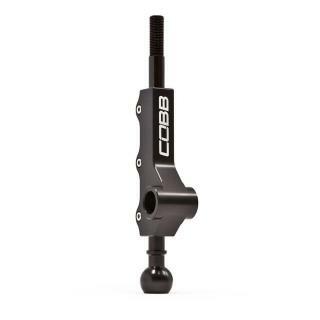 Nonetheless, taken together with the front shifter bushing, this is a great product, but the installation will make you cry. I am not alone in experiencing the problems that I encountered (google it). The two holes that the bolts go through are parallel in the bushing design, however, on the stock bushing and on the car, the holes to screw into are NOT parallel, but inward facing. There is no bending the bushing to comply (which speaks to the quality of the bushing). I was really frustrated at how difficult this seemingly simple install should have been and confused as to how little attention to this major detail was overlooked. there are different methods, but here is mine: -Remove one of the metal barrels to give more lateral play so bolt goes in at an angle. -Install bushing and drive for ~250 miles. -Bolt hole now has more play. Reinstall metal barrel and bushing and bring install to completion! Rated 4 out of 5 by Anthony from Decent upgrade Installed this kit today, very simple and straight forward (I did this on my lift at work). I know many people complain about fitment of the rear bushing: the trick to installing it is to start the bolts by about 2 threads on both sides then tighten them the rest of the way. The shift feel is solid paired w/ my STi short shifter, but not a night and day difference. 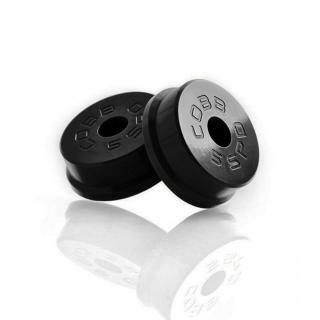 I doubt these will ever wear out, so that is a plus.My stock bushings were in decent shape, but if yours are worn this would make a big difference. Rated 2 out of 5 by Matt from Terrible fitment I bought this bushing pack for my 2006 Legacy 2.5GT. While the front bushings fit fine, the rear bushing was definitely not made for this car! The bolt holes in the bushing were not angled correctly to fit the stock location, and the bushing itself is too tall. I was close to returning it, but then made it fit after removing the metal inserts from the bolt holes, so I could achieve the correct bolt angle - maybe not a great idea for longevity, but I wanted to feel how it shifted with that rear bushing in place. Overall, nice upgrade and the shifts feel crisper - just what I was looking for. But the whole rear bushing should really be redesigned and marketed specifically for the Legacys vs. Imprezas. Rated 5 out of 5 by TimDavid from gears are more positive now Subaru WRX is nice to work on and the COBB shifter bushings were easy to install once you get under the car. The OEM bushing are very soft rubber. The COBB ones are hard. The resulting effect is that the gear lever feels more positive and gear selection is more decisive. A good improvement to the driving experience and worth doing.